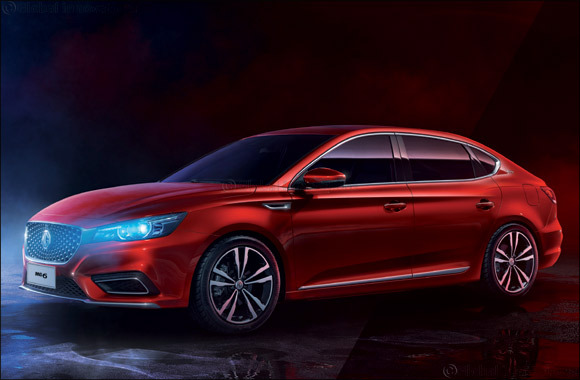 Dubai, UAE, September 20, 2018: MG Motor has confirmed that its stylish all-new MG6 sedan will be launched in the Middle East in late October this year. The all-new MG6 is the latest model from the British-born automotive brand, which is enjoying a major resurgence in popularity across the region as its expanding new product line-up continues to attract a rapidly increasing number of buyers. The sleek, dynamic profile of the all-new MG6 is boosted by carbon fibre trim on the front bumper, headlamps featuring a ‘London Eye’ design concept, twin chrome exhaust pipes and a ‘Star Rider’ front grille, which takes inspiration from the brand’s expressive design language. The sporty, premium vibe continues inside the cabin with a smartly configured dashboard and central console, complemented by stylish leather-wrapped seats boasting a black and red interior on top-of-the-range models. In addition to offering the most interior space in its segment, the all-new MG6 builds on MG’s reputation for providing extremely generous levels of equipment. An 8-inch colour touch screen with Apple CarPlay, push start button, keyless entry, auto hold function, tyre pressure monitoring system, rear parking camera, and a dual-zone cool climate control system featuring rear air-conditioning vents are just some of the features that are set to be offered as standard. Since its acquisition of MG Motor, SAIC MOTOR, as a Global Top 500 company, has opened a new chapter for this British-born brand. The introduction of the all-new MG6 follows the launch of two SUV models earlier this year, the MG RX5 compact SUV and the MG ZS SUV, as well as the second-generation MG GS. Together, these models join the existing MG 360 to complete the brand’s Middle East line-up.